The healthcare industry today including dentistry, orthodontics, surgical practices, cosmetic surgery sciences, general medicine and lifestyle & wellbeing health practices, is growing at an exponential rate. This is to cater to the growing population and ever-increasing health and medicine needs of the same. In addition, healthcare organizations are becoming aware of the current need to provide better care and facilities to the patients; hence, they do not shy away from bringing in new and improved treatments, groundbreaking equipment and highly skilled medical workforce to keep them in the competition. Moreover, the fact remains that unlike any other industry, healthcare has a considerably larger audience in offline as well as the online business world. Well-read and technologically equipped patients completely rely on the digital presence of the companies offering health care. Thus, health organizations are realizing the growing need for healthcare online marketing! Let us take a detailed look into this comprehensive marketing guide for healthcare practices. A website and a mobile application of a healthcare organization offer immediate platforms where the patients can find all the required information. To connect with the audience that is looking for all the solutions on the digital mediums, it is important to stay available on their digital devices. In addition, these digital products, that are effectively being used for healthcare online marketing, typically act as the first impression of the facilities and service that are in store for the patients searching for suitable healthcare. User experience, design, effortless interface and easily available information on these digital platforms are the reasons patients decide to stick to a particular medical facility. For example, take a look at Atlanta Addiction Recovery center’s website. It is extremely user-friendly and has a robust offering right on the homepage. Informative, useful and optimized content placed on the website is what fuels the online marketing for healthcare tremendously. As per the statistics, 1% of all Google searches conducted every day are related to medical symptoms and their treatment facilities, which counts to approximately 35 million online searches in a day. This is huge. A healthcare organization can aspire to appear on top of these searches only if they have useful and optimized content on their website to engage their audience. Meaningful answers to the possible questions related to health conditions of the patients, quick tips, and general medical advice can be included in the content that makes the website Google friendly. 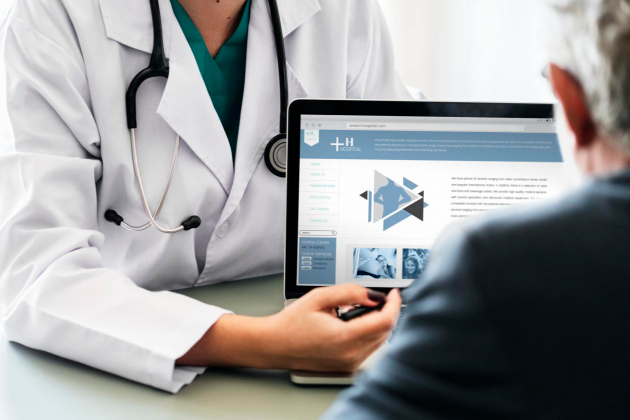 Testimonials, successful case studies and patients’ recommendations are other important parts of the content that healthcare organizations need to put on their websites. We recommend you take a look at the Bluff Plantation website and blog that has a steady stream of content that covers a variety of health concerns. Meaningful emails loaded with relevant yet crisp information are one of the most effective tools for healthcare marketing. Newsletters about the latest medical advancements in the related field of healthcare, launches and success stories that can keep the patients updated about the most recent happenings, is always a coveted piece of information. Relaying these put the healthcare organization in the bracket of absolutely modern and equipped facilities walking fearlessly with most advanced and sophisticated medicine sciences. Patients tend to rely on such healthcare facilities. Audiences today are increasingly bending towards video content, as it appears to be more relatable, easy to understand and leaves an impression on the memory. As per the researches, one-third of the online surfing time is devoted to watching videos. Getting the doctors on camera to speak about the medical processes, for example, dental surgeries or cosmetic procedures that help the people but people do not seem to have knowledge about those procedures, can be an extremely helpful device towards healthcare online marketing. Additionally, if the patients from successful treatments agree to record their experience videos and if they are aired on the company website or on other social network channels; this invariably increases the credibility of the healthcare facility. Even the best looking, appealing, and most informative website with complimenting blog posts, email trends, and eye-catchy videos are a waste if they are not found in Google searches. They are found in Google searches only if a highly remarkable SEO strategy is deployed to market the content. SEO (Search Engine Optimization) processes to increase the quality and quantity of the organic traffic towards the healthcare organization’s website. This is done by optimizing the content with specific keywords that the patients are actually using to make the searches. For example, a fertility clinic may want to put the content fueled with the keywords such as “IVF for couples” or “infertility treatment” or “infertility clinics in Georgia” etc, that can actually drive traffic to their web presence. For workable marketing strategy, social media presence is highly imperative, as per the marketing guide for healthcare. If the healthcare organization catering to the public is not having a strong social media presence, then it is missing on the opportunities to have meaningful communication with its audiences. Connecting with prospective clients is very important when it comes to sharing news, happenings, and other offerings. Social media proves to be an excellent promotional tool when used right. As per the data, 60% of social media users tend to trust social media posts and comment activity done by other users. Wisely planned and informative posts by doctors are remarkable instruments to build the credibility and draw the patients towards the healthcare facility. A sturdy healthcare online facility becomes most effectual when the professionals manage it in a seamless pattern. Each component of the marketing strategy needs to be in harmony and should be contributing to the overall conversion process. Also, it is important to track the performance of digital marketing efforts as a whole and identify the areas for improvement. We at Yield Interactive have all the required skills and technology to kick-start the healthcare marketing for your organization. Are we ready to talk?